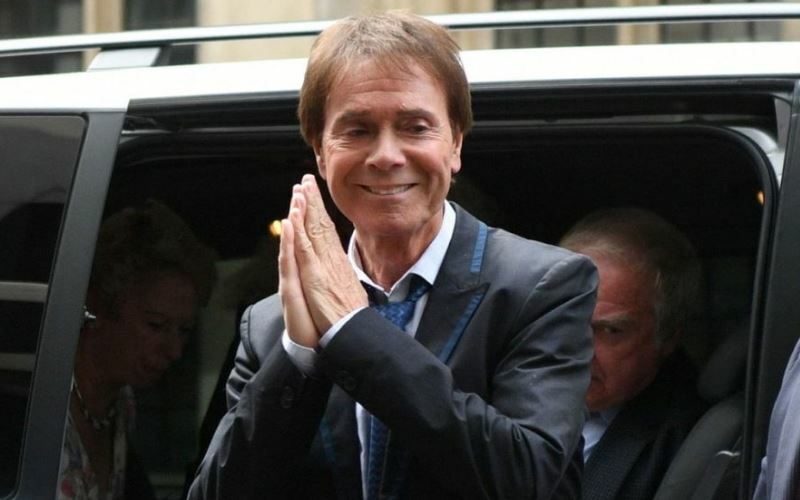 National treasure Sir Cliff Richard is celebrating today after winning his privacy case against the BBC. But as News Associates deputy managing editor Graham Dudman argues, the ruling is a terrible blow for press freedom. On the face of it, you might think Sir Cliff’s privacy victory against the BBC was the right result. The national treasure had watched in horror as live television pictures showed the police raiding his home. The camera on board the BBC’s helicopter zoomed in on detectives picking their way through Sir Cliff’s possessions in what looked like a living room in the star’s Berkshire mansion. Officers from South Yorkshire Police were conducting an inch by inch search broadcast live on the BBC’s News Channel thanks to an agreement struck between the Beeb and senior police officers. As we now know, the allegations were completely unfounded. There was no police action after the raid. No arrest, no charges. Nothing. This turned out to be another hopeless celebrity witch hunt by the old bill. South Yorkshire Police were left with egg on their faces. Sir Cliff and his supporters were rightly outraged by the raid and furious it had been broadcast live by the BBC. The BBC’s journalists – so often accused of not being able to break a big story – were delighted with their scoop. Wind forward from the 2014 raid to this morning’s ruling by Mr Justice Mann awarding Sir Cliff £210,000 damages. Much celebrating from the singer and his supporters. The dreadful media poking their nose where it didn’t belong. Won’t they ever learn? But make no mistake, this ruling is much more important than a good day for Sir Cliff and a bad day for the BBC. It’s a black day for journalism, the freedom of the press and every journalist in Britain. What did the BBC do to lose a privacy case? It accurately reported a police raid. If reporting police activities is no longer legal – we are now living in some kind of police state. South Yorkshire Police may have made a terrible misjudgement by raiding Cliff’s home – but all the BBC did was accurately report the police’s actions. Once they had been told by the police about the raid, what were they supposed to do? Ignore it? Let a newspaper break the news of the raid? I suspect there’s not a journalist in the land who wouldn’t want to publish the story if they had the information. In court, the BBC’s barrister Gavin Millar QC rightly pointed out there was no law in Britain banning reporting of executions of search warrants. As the BBC’s head of news Fran Unsworth rightly said after the ruling, the public’s right to know has been damaged. Let’s hope the BBC decide to appeal and overturn this dangerous ruling. Big media organisations still have the funds to fight privacy cases, although no-win no fee deals make it increasingly a game of high risk poker at the High Court. Cash-strapped local papers and digital start-ups are almost certain to run for the hills every time they’re threatened with a Cliff-style privacy threat. In recent years, lawyers desperate to stop the media publishing embarrassing stories about their high-profile clients have given up using injunctions and moved to playing the privacy card. Thanks to today’s ruling, they’ve been dealt a joker to play against the press. I’m told several senior news executives at New Broadcasting House are considering their positions today. The judge’s decision to award Cliff £20,000 aggravated damages because the BBC entered their story for a scoop of the year award is being agonised over this morning. Let’s hope there are no knee-jerk resignations at the BBC. And let’s hope they appeal and overturn this dangerous ruling. Imagine the reaction in the United States if a court ruled reporting of a police raid was illegal. There would be a national outrage and marches on Washington in defence of the First Amendment protecting freedom of speech. The British public surely has a right to know when police carry out a raid on a home or a business. What the police get up to is in the public interest. And the British media should be allowed to accurately report such police activity without the fear or favour.